Virtual offices are a viable option for start-ups working from home, offering the services of a fixed address without paying the overheads of actually having one. Providing most of the facilities of an actual office, including bookable desk space, conference rooms, a reception desk and administrative support, at a fraction of the normal cost, virtual offices are perfect for those who need lower overheads, flexibility and higher productivity. One of the major benefits of a virtual office is the drastically reduced overhead costs. You need not lease out an entire office or a dedicated administrative staff. The only expenses you’ll incur will be the virtual office company’s monthly fee. Since you do not have to pay for either real estate, or staff, costs are significantly reduced. A virtual office helps you save time and increase productivity by cutting out all travel time and offering extensive administrative support. Running an actual office is not only expensive, it also requires administrative input for the day-to-day running and maintenance. Virtual offices eliminate these hassles so you can focus more on getting things done. Keeping a regular office up-to-date with the latest technology, be it in the shape of printers and copiers, or office software and applications, can pose a major strain on your bottom-line. Since virtual offices serve many clients simultaneously, infrastructure and technology become a priority. Consequently, you’ll find most virtual offices staffed with the latest software and hardware. A virtual office can serve as a reception desk for handling customer enquiries, collecting and forwarding mail, as well as fulfilling administrative duties such as making copies, printing documents, etc. This is an invaluable service that can help retain customers and improve productivity. The cost of leasing office space in a prime locality in a major city can be enormous. A cheap virtual office and other service providers offers a prime physical address at only a fraction of the cost. There are two sides to every coin, and virtual offices have some negative points as well. Driving into an office every day can instil a sense of discipline that entrepreneurs working from home often struggle with. A virtual office only offers a physical address; it cannot instil the work ethic that comes with going to an actual office every morning. You cannot always receive customers at your virtual office (it often varies depending upon the service provider). 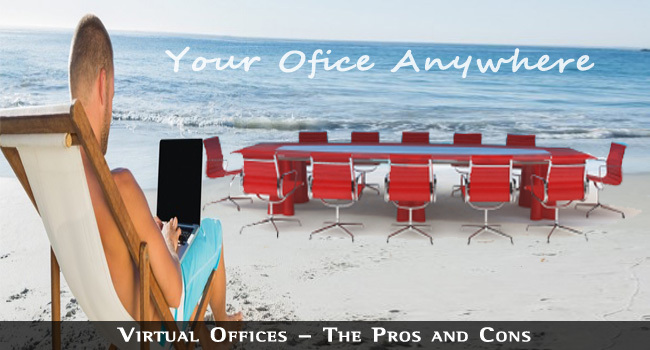 Consequently, a virtual office can give off a lack of professionalism, even if it is not true. One of the great things about working in a real office is the daily interaction with colleagues. A virtual office cannot give you the same experience, even if it solves your business problems. Virtual offices are not right for everybody. Some businesses are better off with an actual office, while others can reap many benefits from a virtual one. I will be hiring ones of my own but I am still waiting for my blog to make that amount of money. Anyways nice and informative post you have written there buddy. Settings up a virtual office has indeed its pros and cons but with the current software available now like time tracking software and teleconferencing, it is now easier to break location barriers so having a virtual office can be more efficient and cost friendly. Very informative post! I agreed with you on the fact that virtual offices have few cons but the new technologies and services provided by the virtual office are so overwhelming that these cons can be easily considered. For start up businesses it is a boon, indeed. I agree on this article. One of the disadvantage of virtual office spaces is you are not sure about the productivity since you don’t see your employees work, but it is also easier to replace one virtual assistance since there are no employer-employee relationship. Everything has its own pros and cons, you just need a good strategy how to maximize the pros and reduce the cons. Thanks for this well written article about virtual office spaces. This will test the company management how to handle the cons to make it a pro and how to further improve the pros in their virtual office. thanks for really a good post. one can easily know about virtual office space. keep sharing. Each enterprise has option to choose from a variety of virtual office services. But one must customize the services according to his business model and work process. 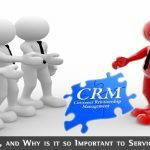 It is also important to check the experience and reputation of the company before availing virtual office services. With regards to the virtual of the office a more systematic way to compromise great change is gearing it Technical support services. Without the help from tech support it is sometimes difficult to get things like this off the ground. Love the idea though. A virtual office and a serviced office in the same breath is sometimes I feel the best compromise. Virtual office certainly has its pros and cons but I think that if you can track all your business hours from anywhere using a cloud based project time management software, then definitely things become quite easier. •	A prestigious enterprise and mailing address for the organization. •	All incoming requires the business patron will handled via experienced and expert receptionists. •	Messages might be forwarded right now to the commercial enterprise patron. •	Virtual help or secretarial and administrative services. One other advantage of virtual office to add up is it greatly helps in enhancing the work-life balance. I use Evoma virtual office solution https://evoma.com/virtual-offices/ for weekly mail forwarding and dedicated call answering sessions. Every coin has 2 sides like virtual office also pros and cons. Lack of Discipline is the main point.